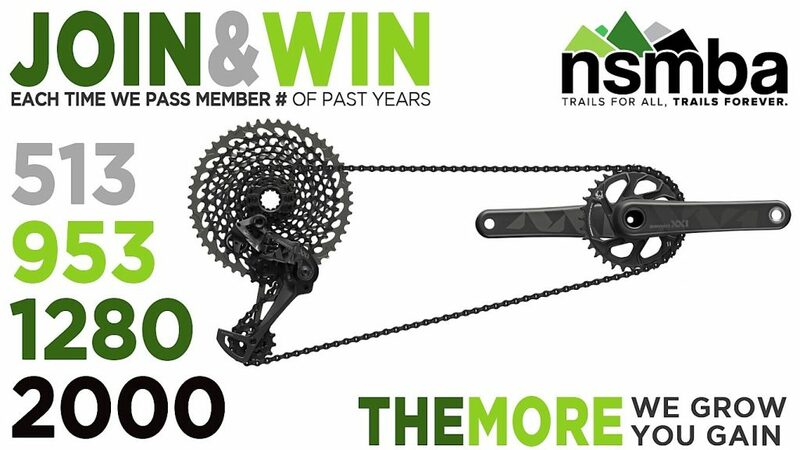 Join & Win with SRAM! Joining the NSMBA pays off! We have come a long way and would like to thank you for your ongoing support. 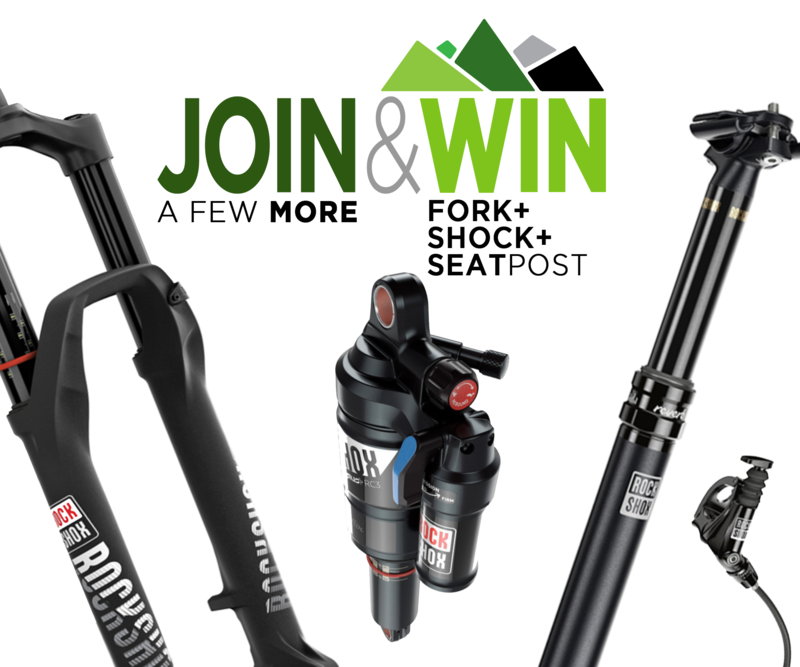 SRAM is helping us thank our membership and encourage you to join early by giving away an entire Eagle Drive Train, a Rockshox Pike, Rockshox Lyrik, and an unannounced 2018 Rockshox fork! 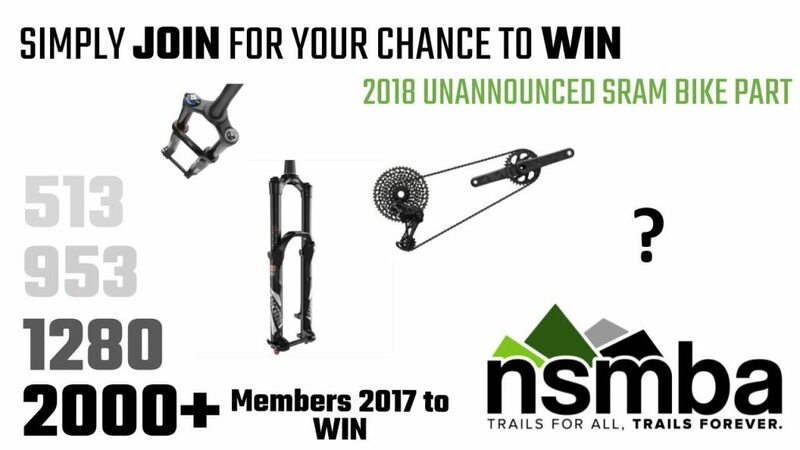 Our early friends who have already purchased their 2017 NSMBA membership are already entered to win. We are excited to announce Barry Duncan as the lucky winner from the first 513 members. 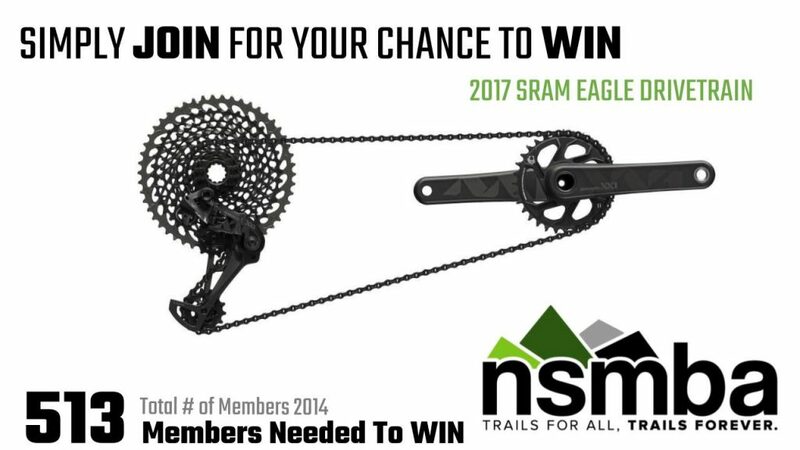 Barry will be receiving an Eagle Drive Train from SRAM as a thank you for becoming a member this year and supporting the trails! But it does not stop there! Thanks to our friends from SRAM, one of our members will WIN each time the 2017 membership number surpasses a membership number of past years. Tell your friends! More members = More prizes. And the sooner you join, the more chances you have to WIN! So get your 2017 membership now for your chance to WIN amazing stuff from SRAM! 513 members (2014 total) – entire Eagle Drive Train – Congratulations Barry Duncan! 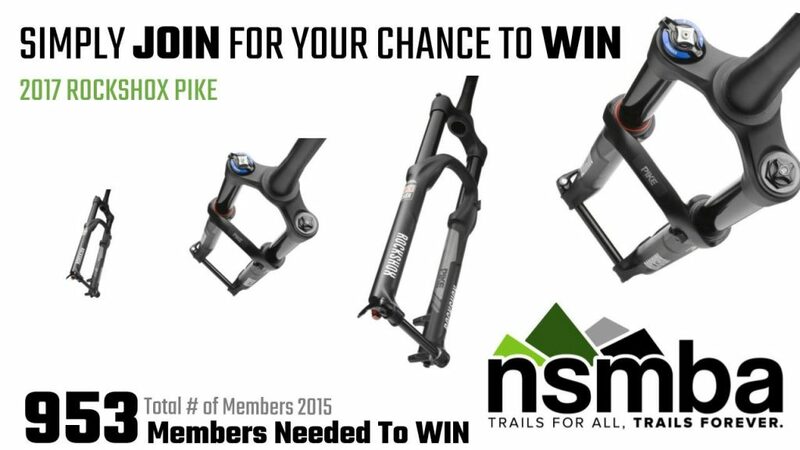 953 members (2015 total) – Rockshox Pike – Congratulations Chris Hepworth! 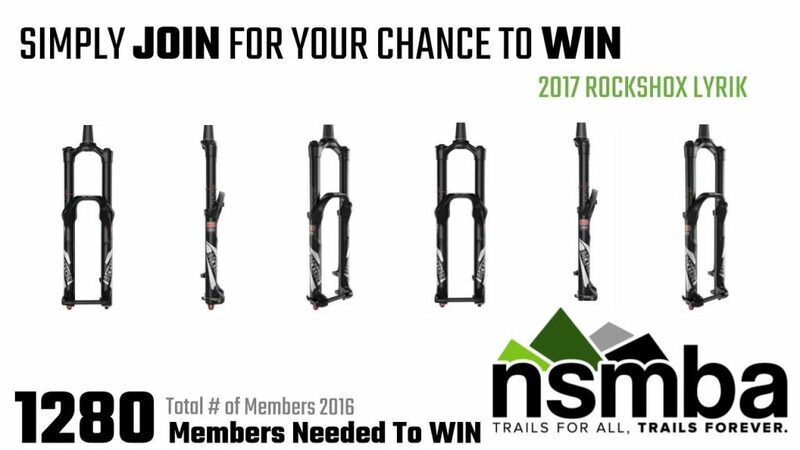 1280 members (2016 total) – Rockshox Lyrik – Congratulations Kent Patterson! All winners will be contacted through the email they provided when purchasing their membership, their name will be announced on our website, newsletters and social media.